SEN. CORNYN: General Gonzales, I regret to say that when I was, just a few minutes ago, watching the crawler or the caption in a cable news network, it referred to domestic surveillance, which strikes me as a fundamental error in the accuracy of the reporting of what's going on here. You've made clear that what's been authorized here is not domestic surveillance; that is, starting from and ending in the United States. This is an international surveillance with known al Qaeda operatives. Correct? ATTY GEN. GONZALES: I think people who call this a domestic surveillance program are doing a disservice to the American people. It would be like flying from Texas to Poland and saying that's a domestic flight. We know that's not true. That would be an international flight. And what we're talking about are international communications. And so I agree with your point, Senator. While the situation here is of course a little different, I think that the same principle applies. In the complex issue of what crosses the First Amendment line in "surveillance," things often get misrepresented to create public outrage or fear. 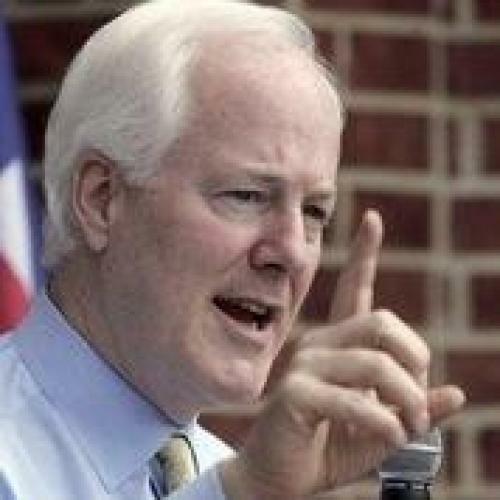 But this time around Cornyn is the one doing what Gonzales called a "disservice."